Fabrication & Assembly - Frazier Machine & Production, Inc. Skills and expertise, ready to roll. 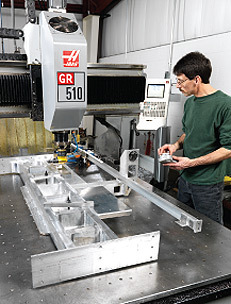 Frazier Machine and our sister company, Kolva Custom Gauge, have ample experience with fabrication and assembly. We do both in the production of custom components and first- time parts. Add to that the can-do attitude of an entrepreneurial, customer- driven operation, and you’re looking at solutions. 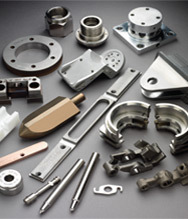 Weldments, subassemblies, gauges, fixtures, die sets and more. Quality testing and approval of finished parts and assemblies. Pre-production test runs of assemblies on your machinery, to your requirements. Equipment – 13,000 sq. 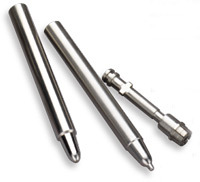 ft. of advanced machining technology capable of manufacturing components (from one to 2500) and up-to-date precision tools for fabrication and assembly. Global brands and small companies choose us to build their prototypes for good reason: They know our quality standards. Our people earned ISO 9001:2008 certification for Frazier Machine. Their skills and insistence on superior craftsmanship mean you get our best, every single day. Put your next project in our hands. You’ll be glad you did. From quotes and sourcing to shipping and shop floor organization – we systematically work to make every operation better. It all works to give you the best possible customer experience.